Item: AM1052 P-1080 - British Columbia's premier industry. Gold nuggets taken from McKee Creek, Atlin, B.C. Item: AM1052 P-1405 - Broad Street, Bath. 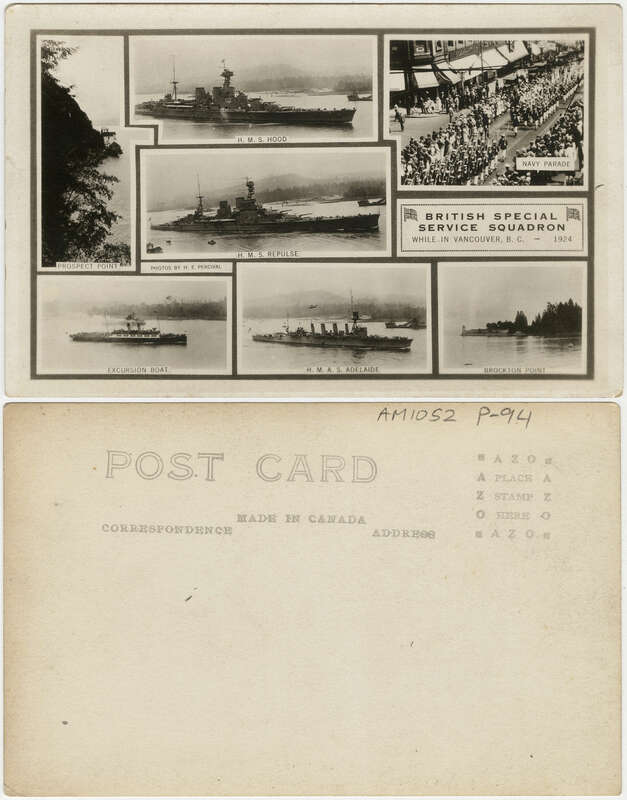 Item: AM1052 P-635 - Brockton Point Lighthouse, Stanley Park, Vancouver, B.C. Item: AM1052 P-1069.2 - Brockton Point Lighthouse, Stanley Park, Vancouver, B.C.